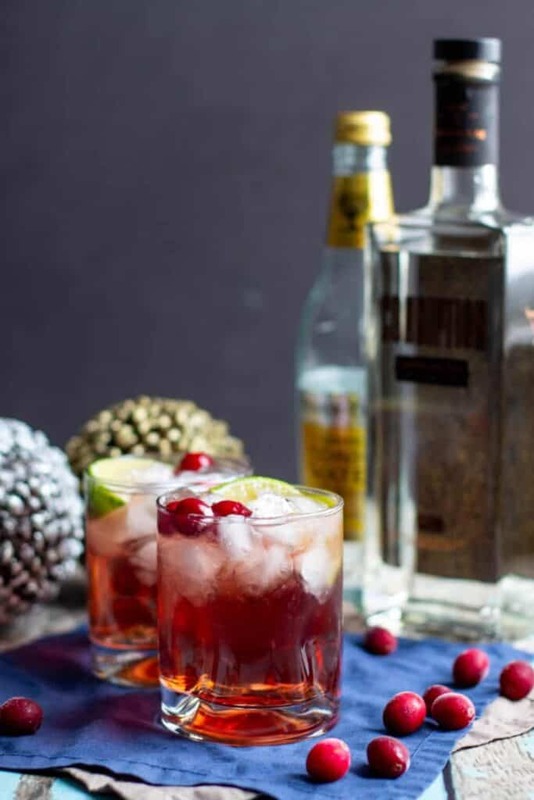 Treat yourself to a festive Cranberry Gin and Tonic (or two, or three) this holiday season! You know that you deserve it. 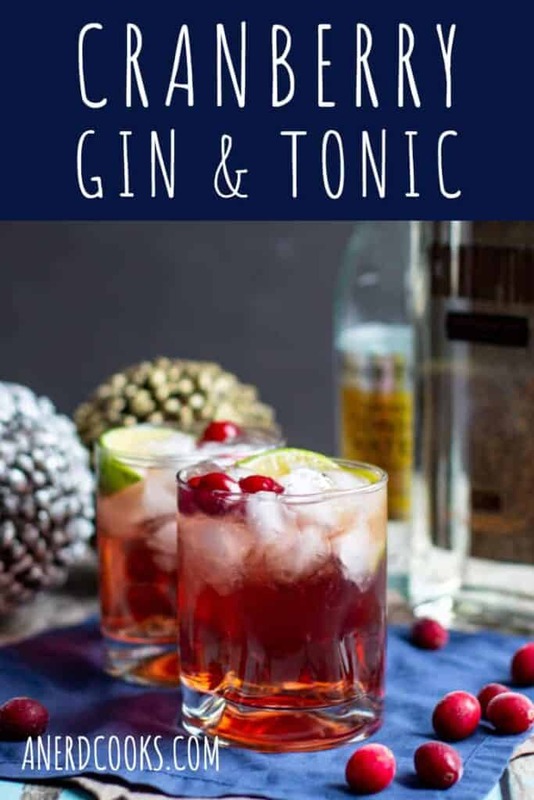 Here we have taken a standard (and perfectly tasty) G&T recipe and made it even more delicious and festive with the addition of cranberry juice and fresh cranberries. To be honest, I’ve always thought that (some) gin and tonics sometimes taste like a Christmas tree. Or at least taste the way that a Christmas tree smells. Know what I mean? Maybe? No? 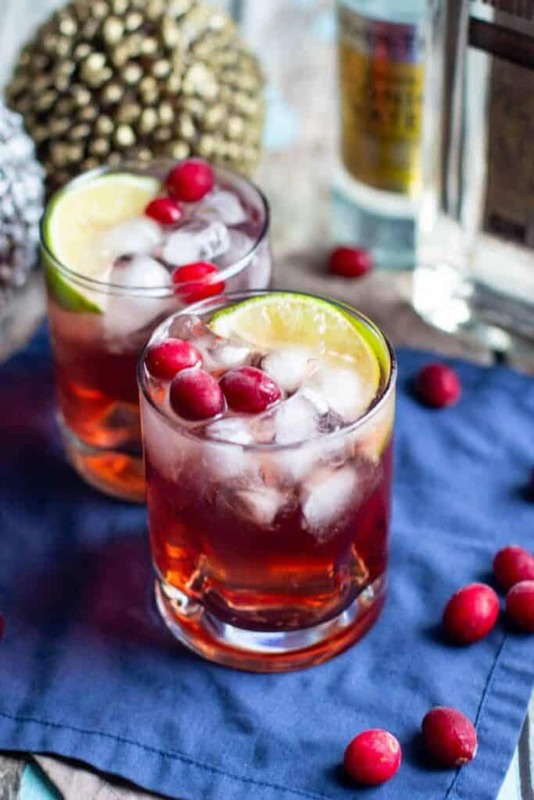 Either way, the red from the cranberry juice and cranberries plus the green from the limes means that these drinks are all dressed up for the holidays. 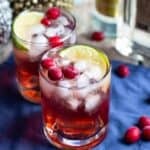 If this Cranberry Gin and Tonic isn’t cutting it, or if you’re looking for more cranberry cocktails, check out my Cranberry Vanilla Moscow Mule recipe! Over ice, combine the gin, cranberry juice, and lime juice in an old fashioned glass. 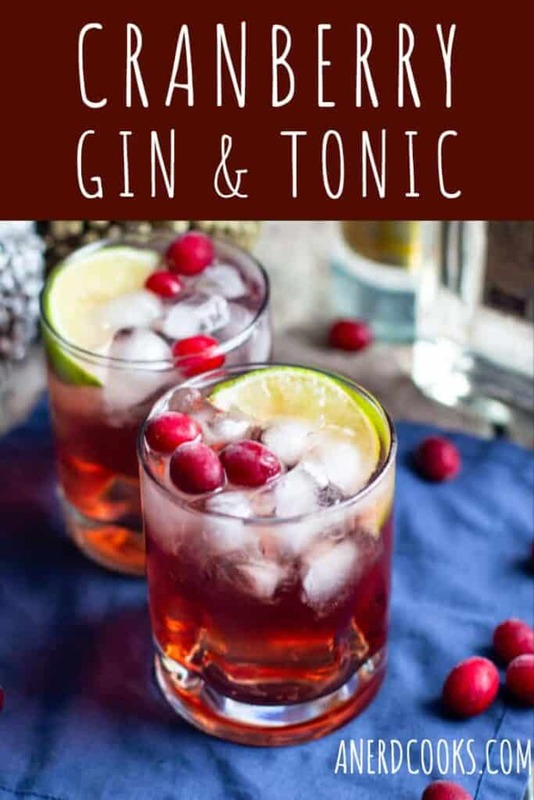 Top with the tonic water and garnish with a lime wedge and cranberries. Notes: I like Conniption American Dry Gin. 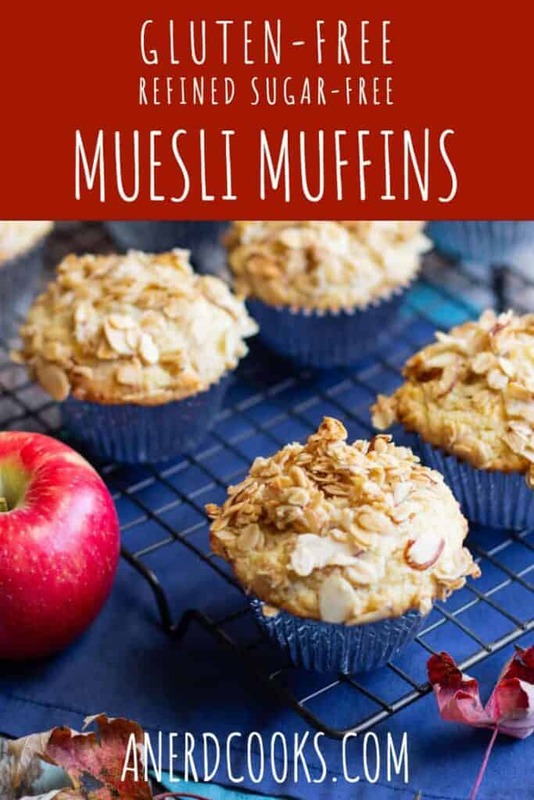 These Muesli Muffins are gluten free AND refined sugar free! 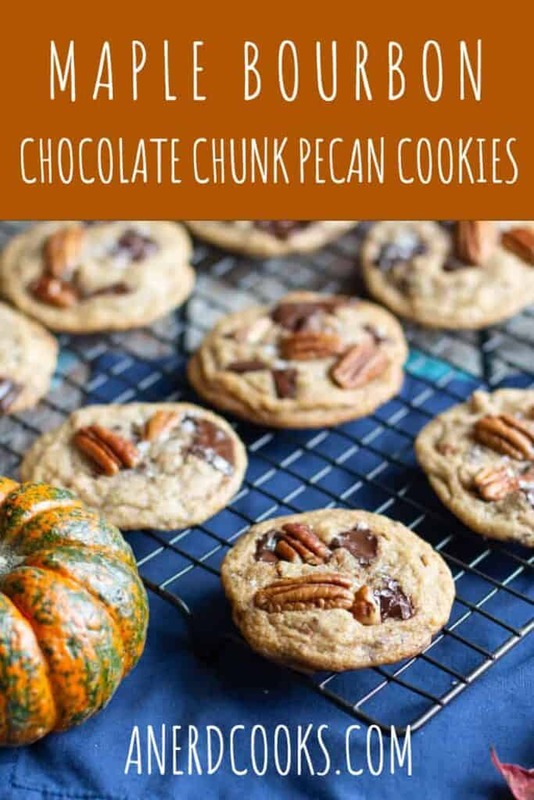 In addition to being a bit on the healthier side, they’re plenty tasty. 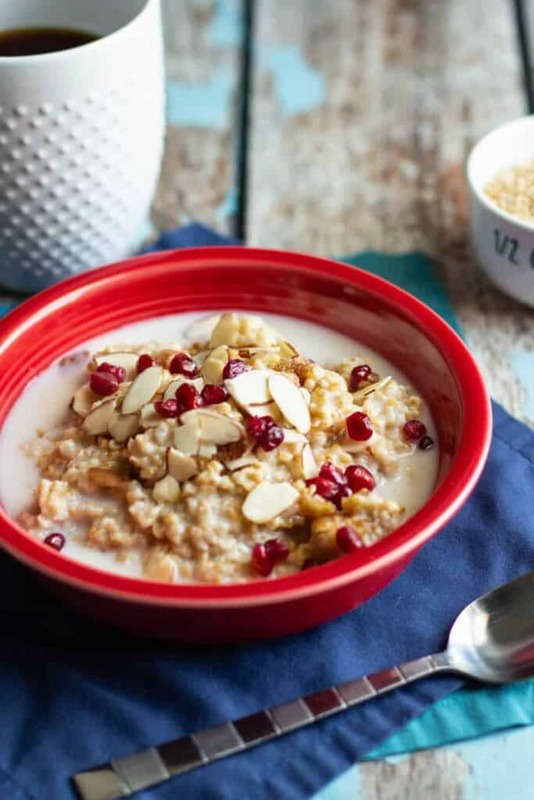 Muesli is sort of like granola in that it’s made up of oats, nuts, seeds, dried fruits, etc. However, it’s not baked. 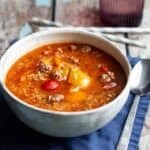 Check out this article from The Kitchn for more info. 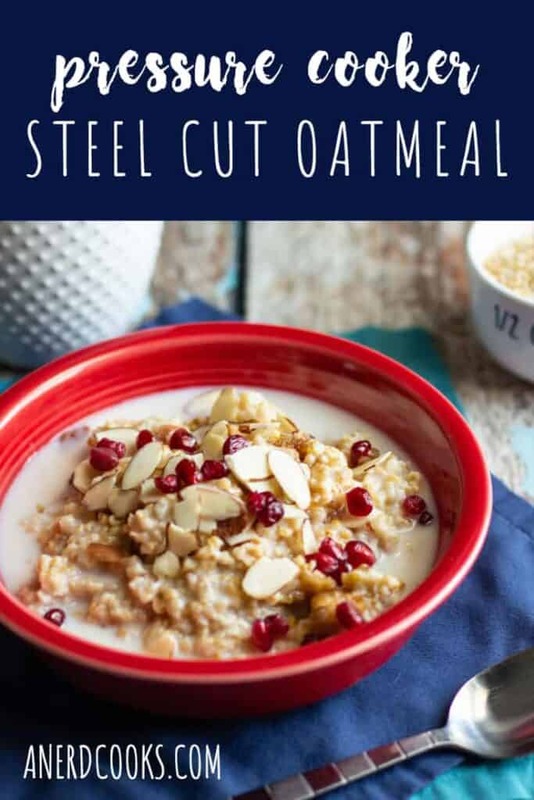 It’s good hot or cold (I like mine cold with almond milk + frozen blueberries) and you can make it with whatever component parts that you fancy. Eating it will make you feel healthy AF. Good stuff. 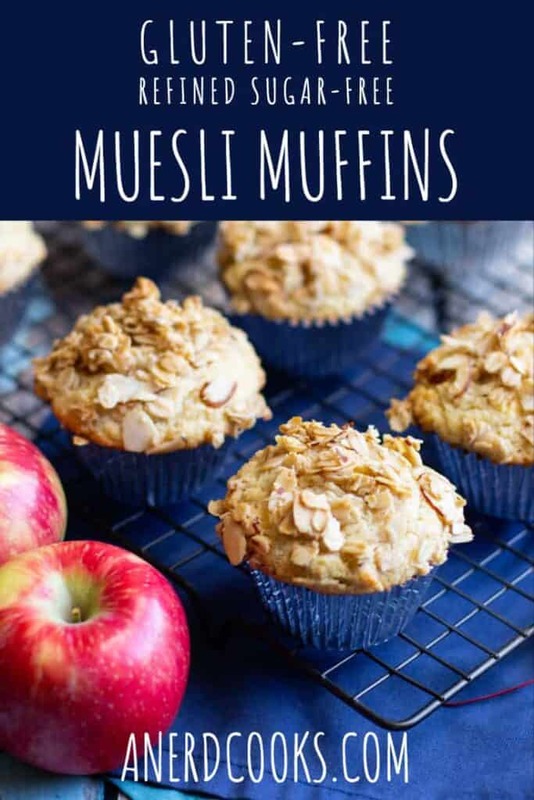 And as it turns out, muesli also lends itself well to healthy-ish muffins! 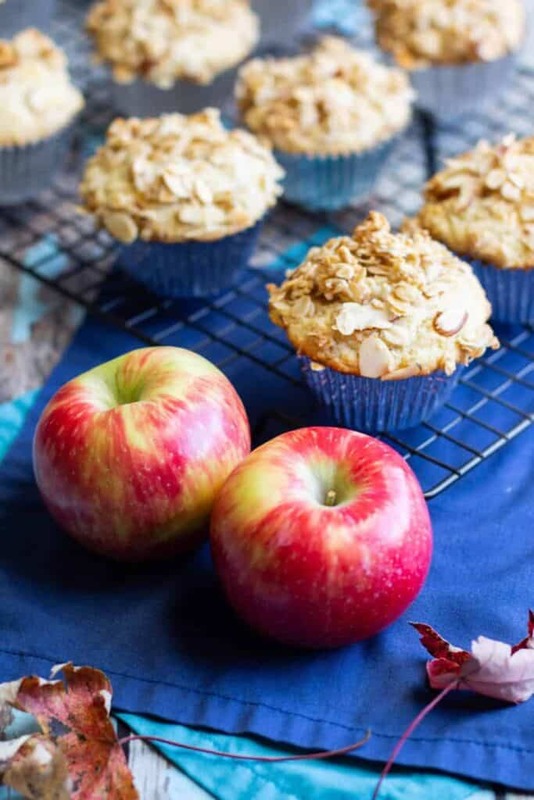 These muffins are full of oats, almonds, and grated apple. 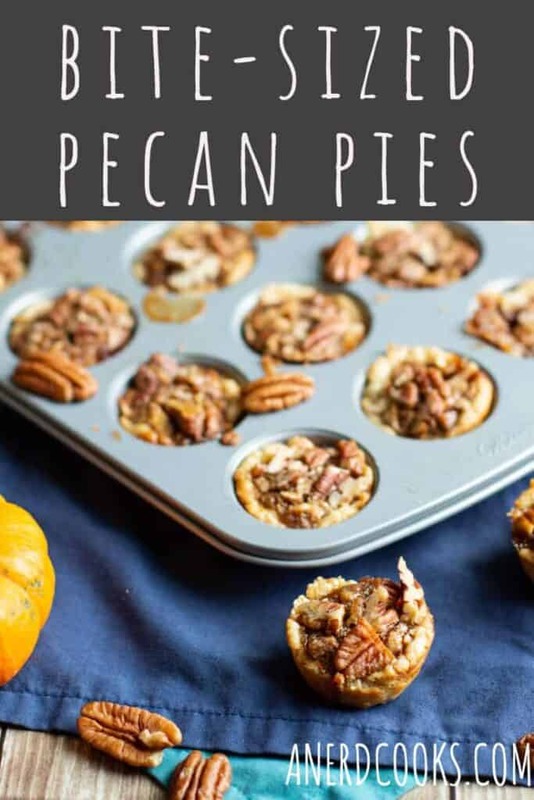 They are sweetened with real maple syrup but are kept bright and zingy with the addition of lemon juice and zest. 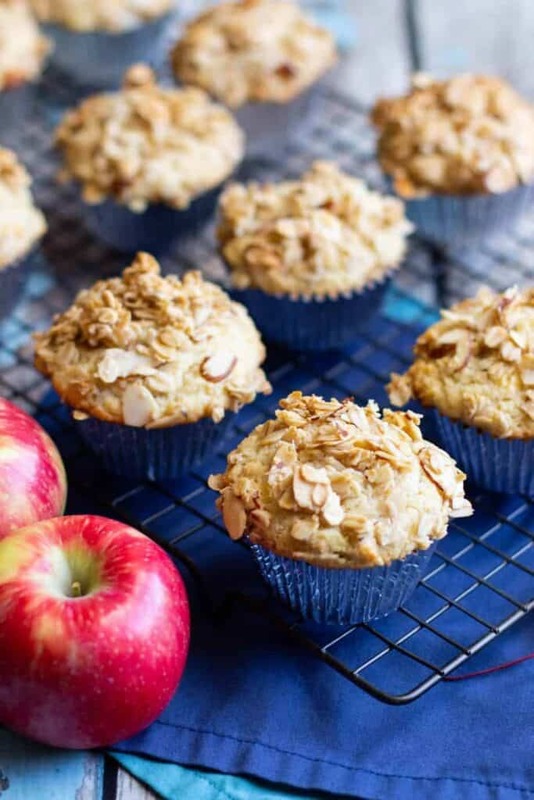 The recipe for these Gluten Free Muesli Muffins comes from Bon Appetit. 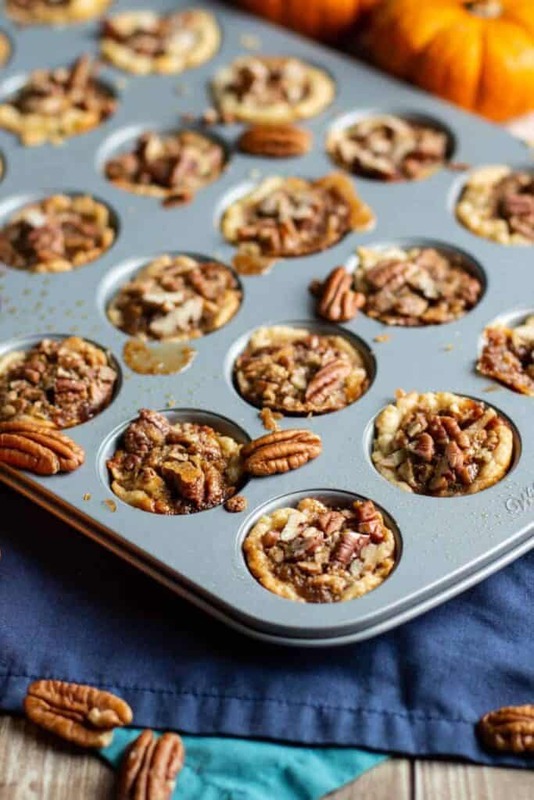 Preheat oven to 350 degrees F. Line a standard 12-cup muffin pan with paper liners. Set aside. 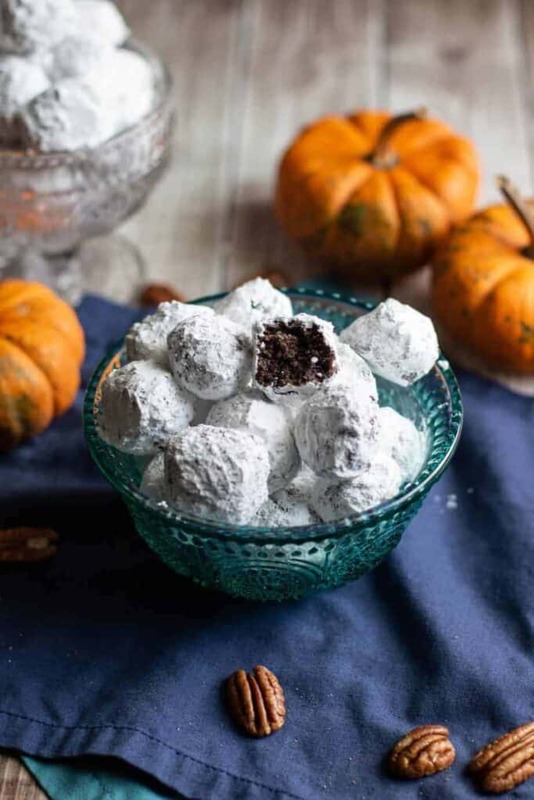 Whisk rice flour, almond flour, flaxseed meal, baking powder, and salt in a medium bowl until no clumps remain. Set aside. Whisk eggs, lemon zest, lemon juice, 2/3 cup maple syrup, and 2/3 cup of coconut oil in a large bowl. Add the dry ingredients to the wet and whisk to combine. 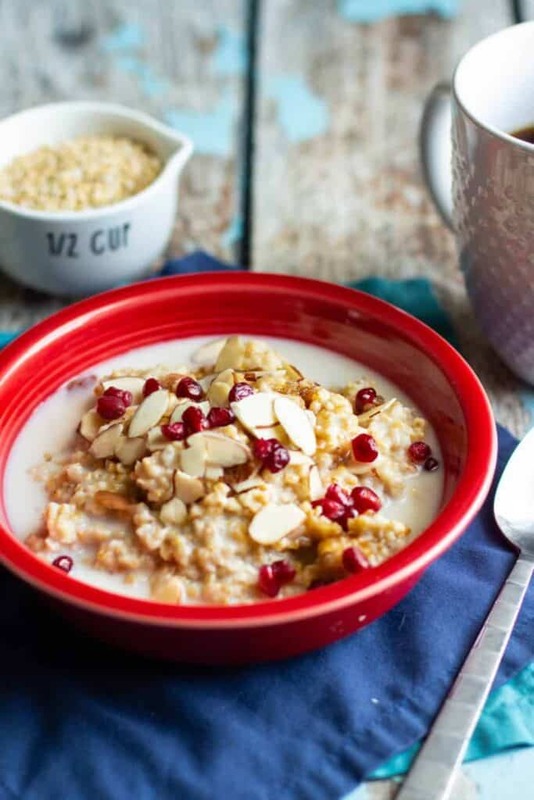 Add the apple, 1/2 cup almonds, and 1/2 cup oats; mix to combine. 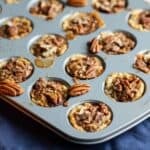 Divide the batter among the prepared muffin cups, filling each to the very top. 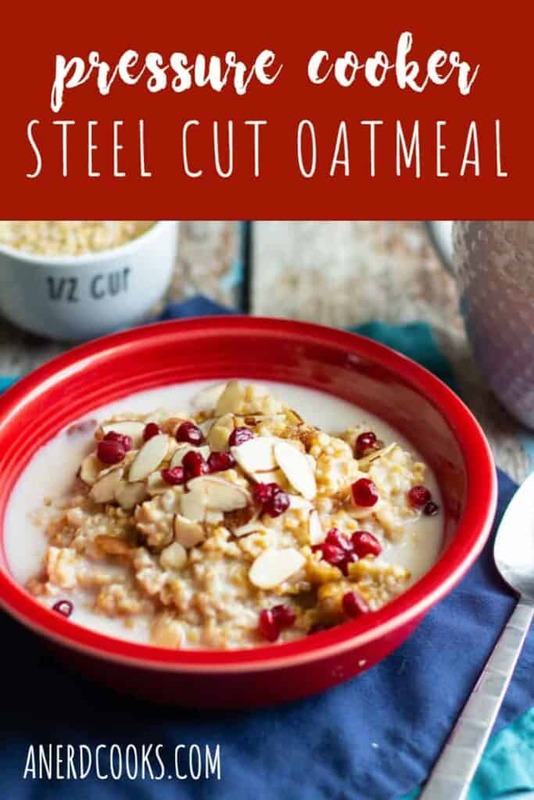 Mix remaining 1/4 cup almonds, 1/2 cup oats, 1 tbs maple syrup, and 1 tbs coconut oil together in a small bowl to combine. 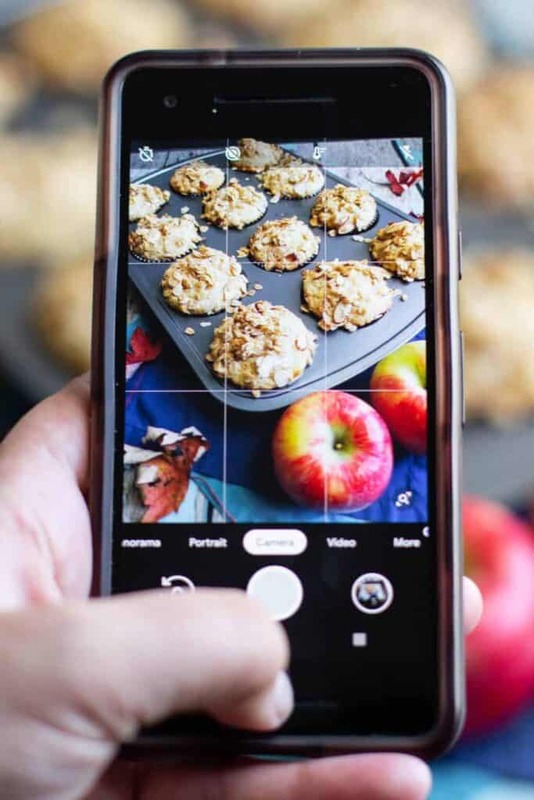 Bake muffins for 25-30 minutes, or until tops are golden brown and a toothpick, when inserted into the centers, comes out clean. 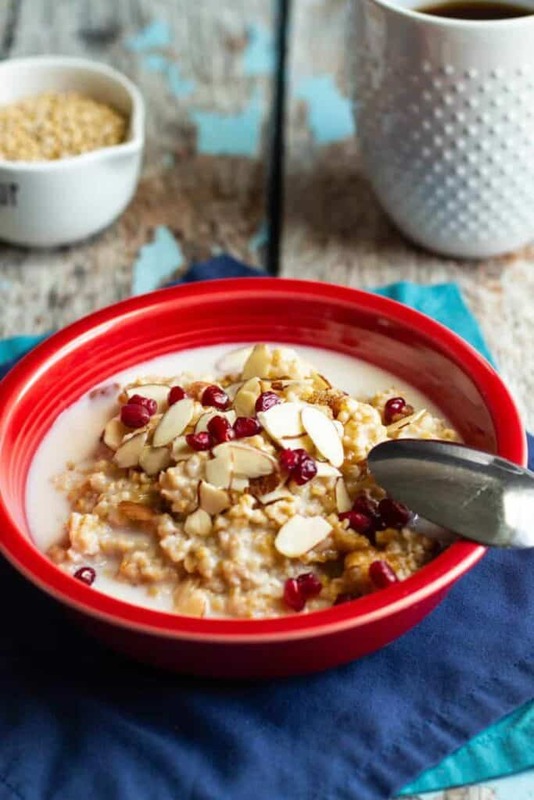 Notes: The original recipe calls for oat flour, but I couldn't find this at my grocery store. White rice flour served as a good sub. 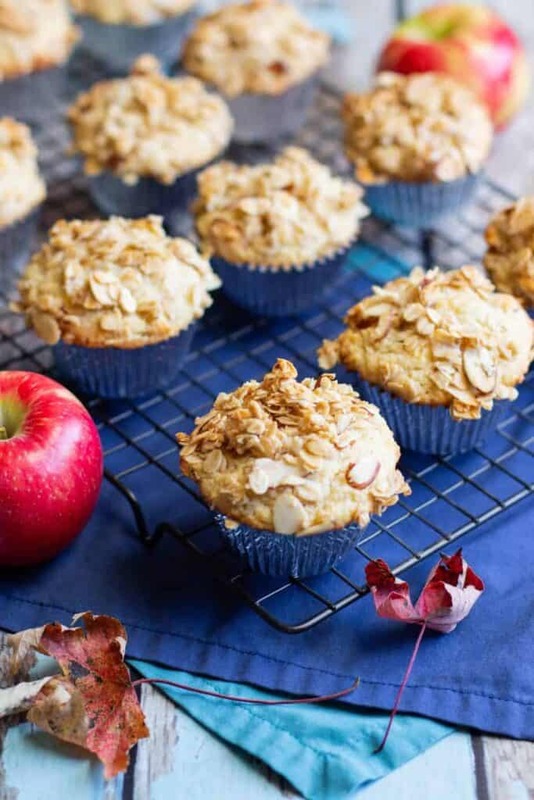 Need more Fall muffin recipes? 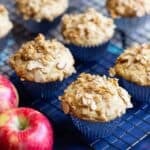 How about Sweet Potato Pecan Muffins, Pumpkin Chocolate Chip Muffins, or Apple Oat Streusel Muffins? 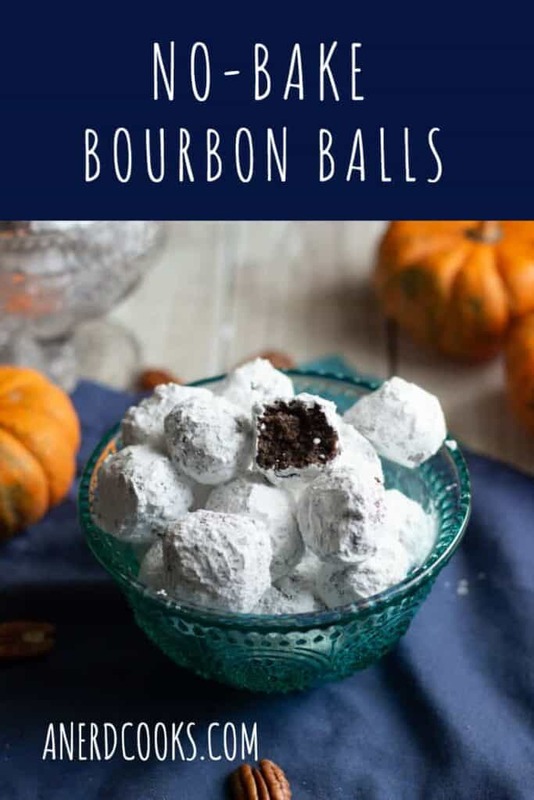 I think that bourbon is wonderful year round. Classic Old Fashioneds, anyone? But it’s especially good once the weather starts to cool down a bit. 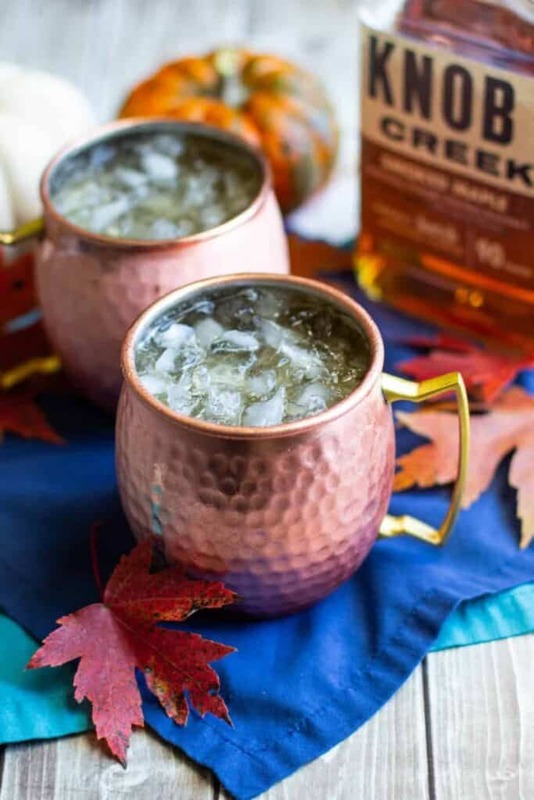 Bourbon is smooth and warming, and really complements classic Fall ingredients like apple cider and maple. Fortunately for me (and you! ), I was recently gifted a bottle of smoked maple bourbon. 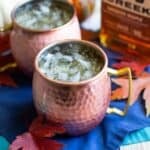 Its sweet maple flavor inspired these Maple Bourbon Moscow Mules. 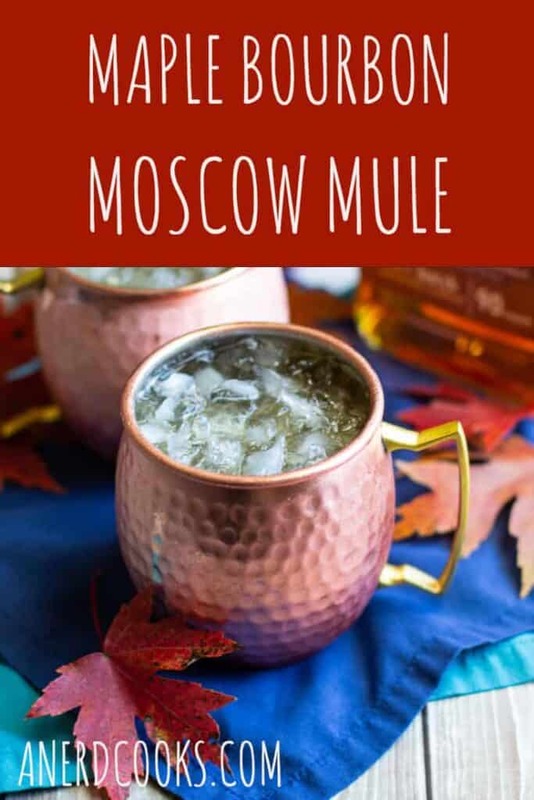 Looking for more Moscow Mule recipes? I gotchu. 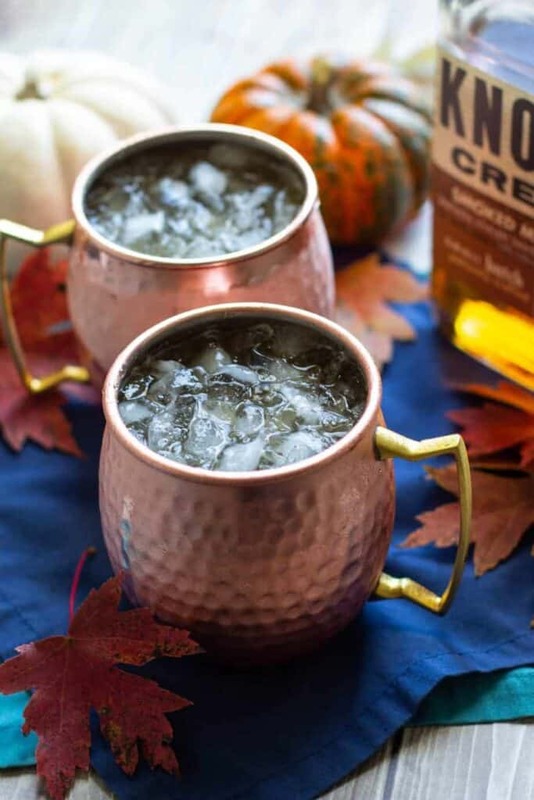 Combine all ingredients in a copper mug over ice. 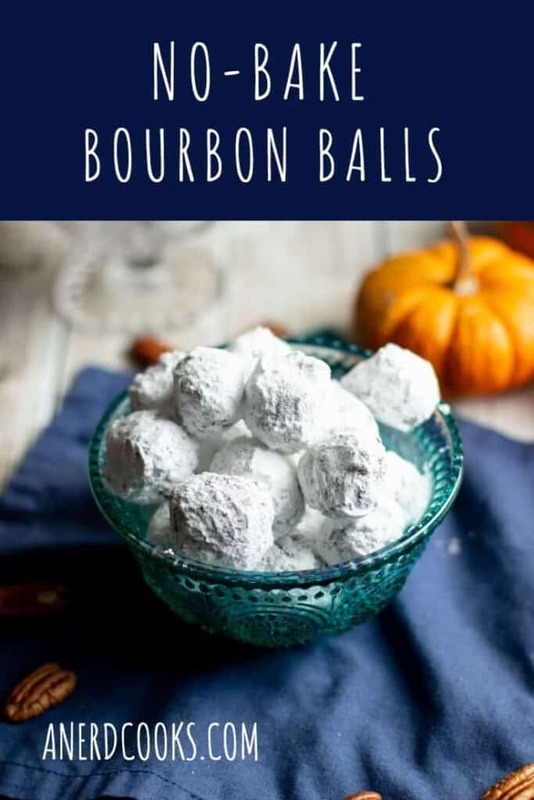 Notes: I used Knob Creek Smoked Maple Bourbon Whiskey. 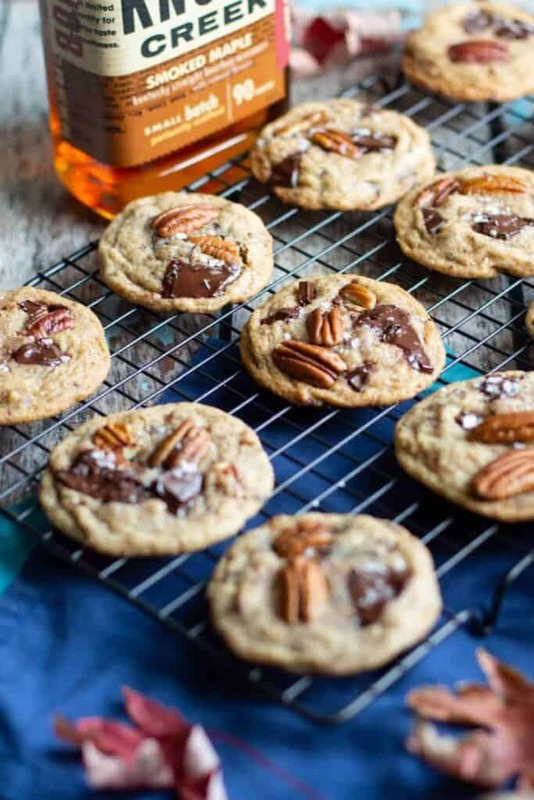 You can use another (non-maple) bourbon if that's all you have on hand. 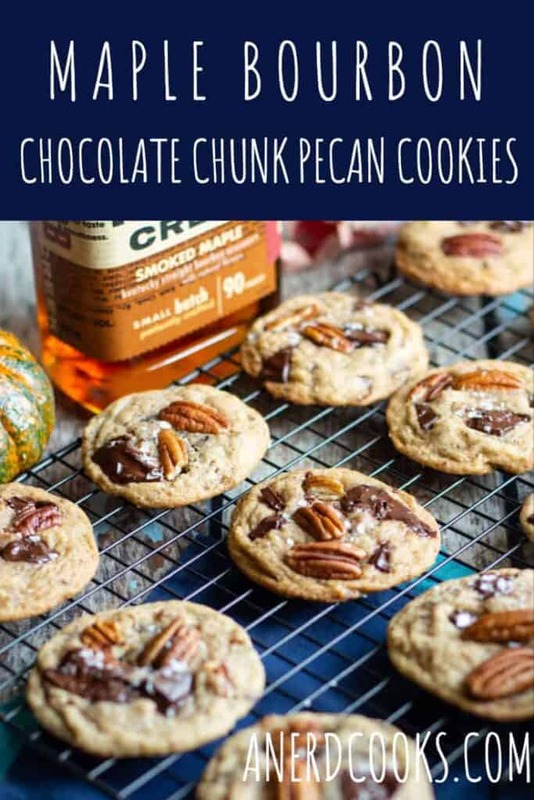 The maple flavor just won't be quite as pronounced. 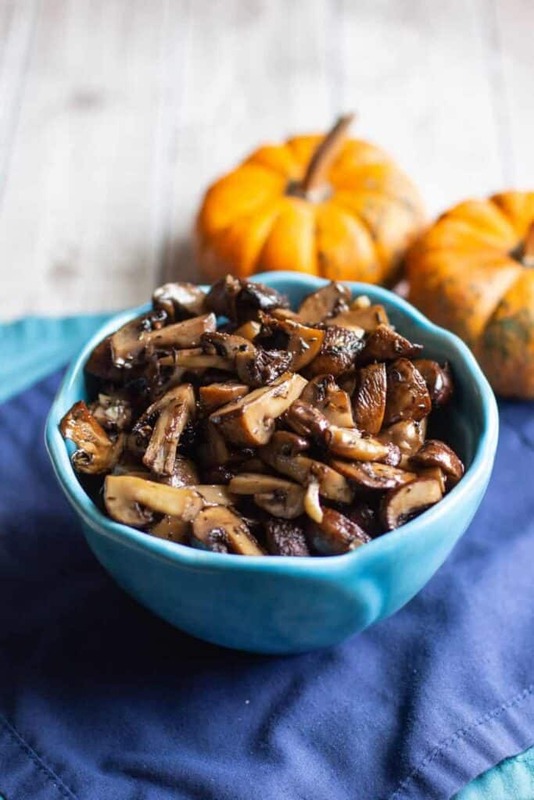 These Garlic and Thyme Roasted Mushrooms make a great side dish or addition to a hearty Fall/Winter salad. 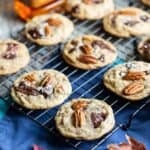 Better yet, they’re delicious and easy to prepare! If you’re leaning toward eating these roasted mushrooms as a side, think steaks. It’s a classic pairing. I’ve also been eating these mushrooms as part of my lunch in grain bowls with quinoa and other roasted vegetables. Top that with some hummus (hummus makes a great salad dressing!) and you’re in business. Mushrooms are like little flavor sponges. 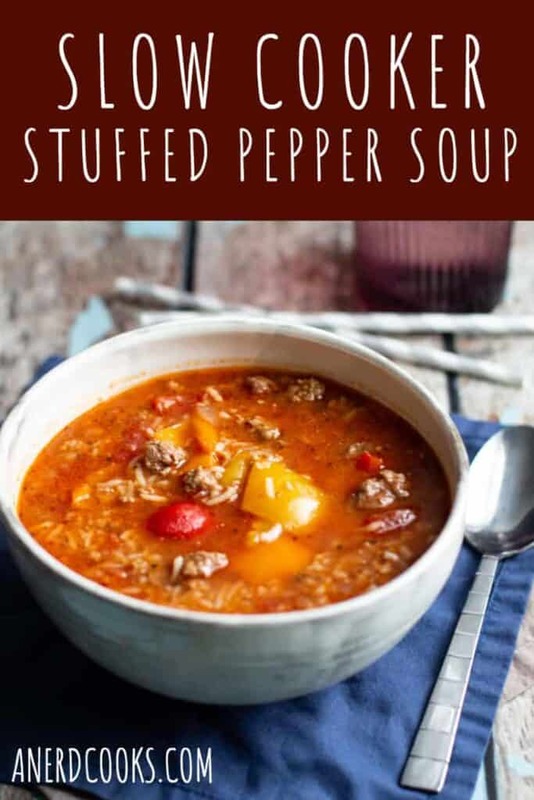 They really soak up and take on the flavors of whatever herbs and spices you add. 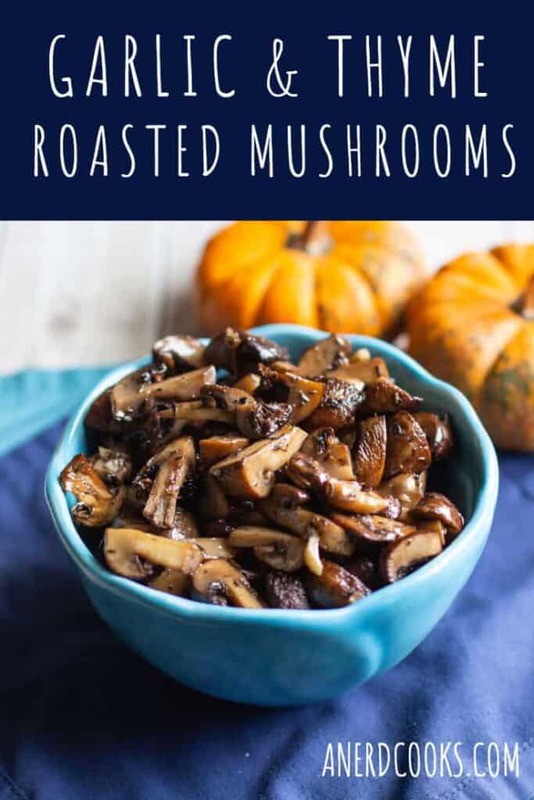 These roasted mushrooms, with their fragrant thyme and savory garlic flavor, smell and taste like Fall. 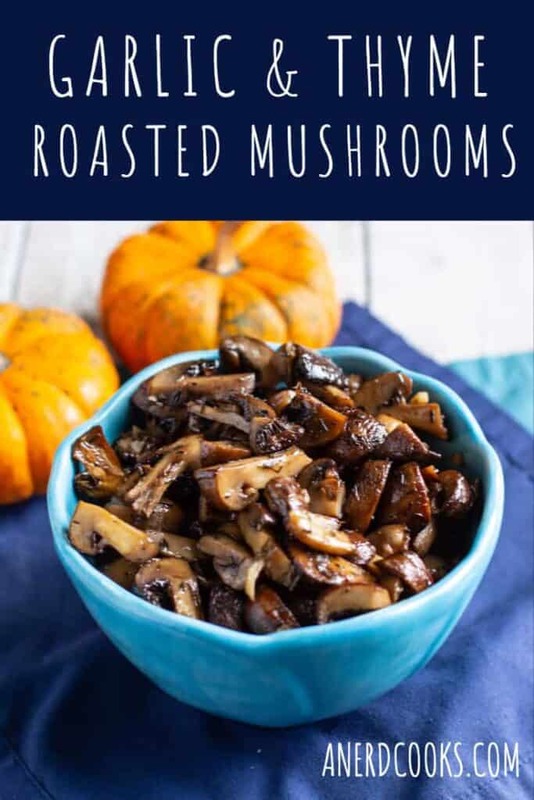 I’ve only ever tried to roast cremini mushrooms, but if you try it with other varieties, please report back! 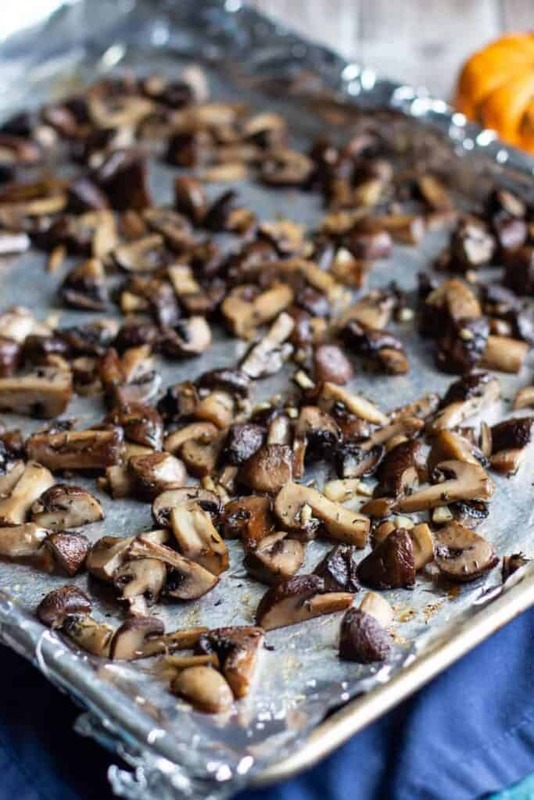 Add the mushrooms to the prepared baking sheet. 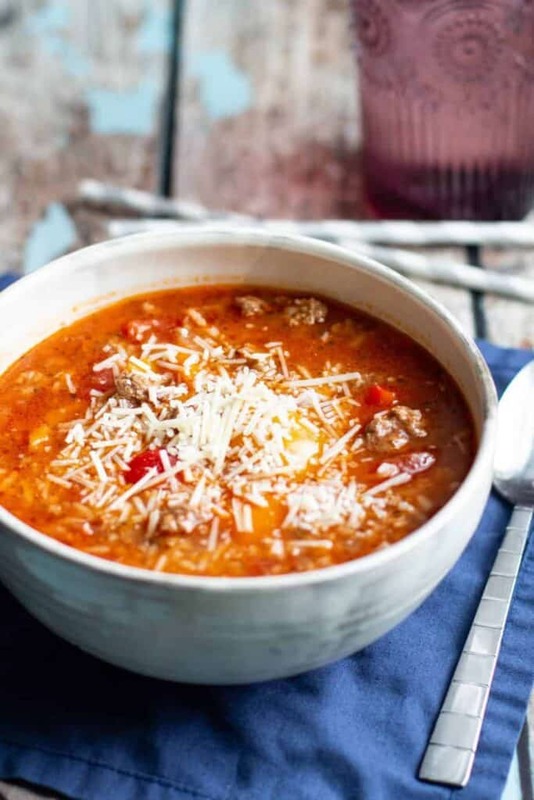 Drizzle with olive oil and sprinkle with dried thyme. Toss to coat. 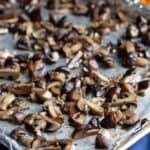 Sprinkle the minced garlic, salt, and pepper over the partially roasted mushrooms. Toss to combine. Roast for 10 additional minutes. 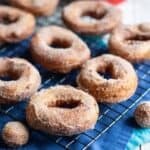 If Apple Cider Donuts don’t say “Fall”, then I don’t know what does. 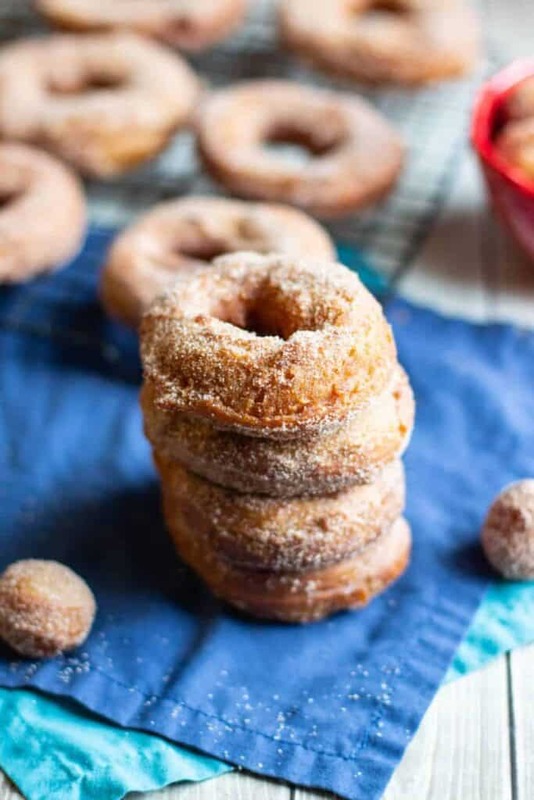 These donuts have a lot going for them: lightly tangy apple cider flavor, dense cake-y texture, and crunchy cinnamon sugar coating. 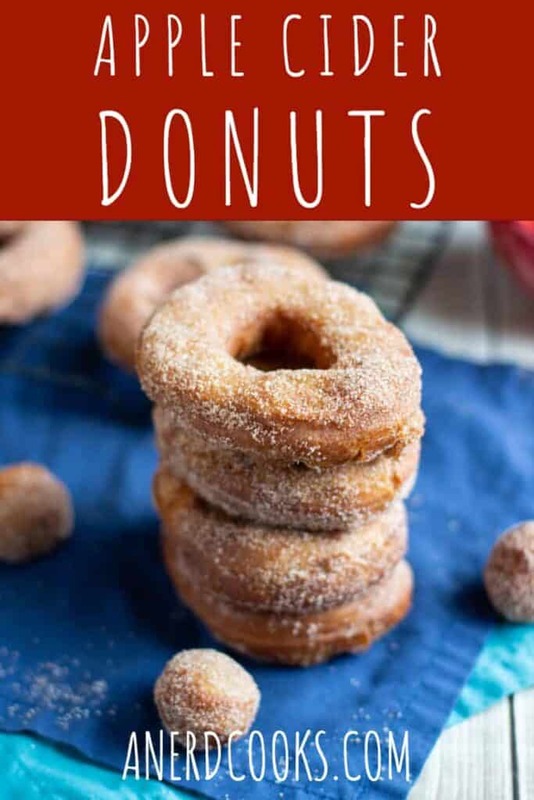 There’s no wrong way to eat them, but trust me when I say that these donuts are at their best when eaten fresh and hot. I’ve shied away from making fried donuts in the past because, frankly, I was a little intimidated. I stuck to baking my donuts in a donut pan. Not that there’s any shame in doing that. Baked donuts are great, too! 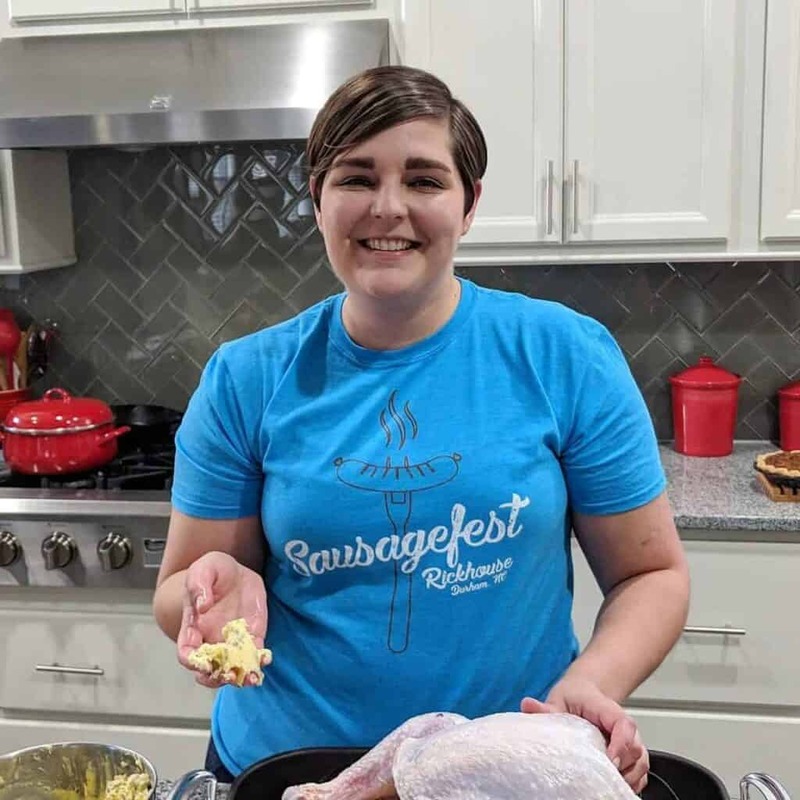 But I’m here to tell you that frying your own hot, crispy-on-the-outside, tender-on-the-inside donuts at home really isn’t a big deal! 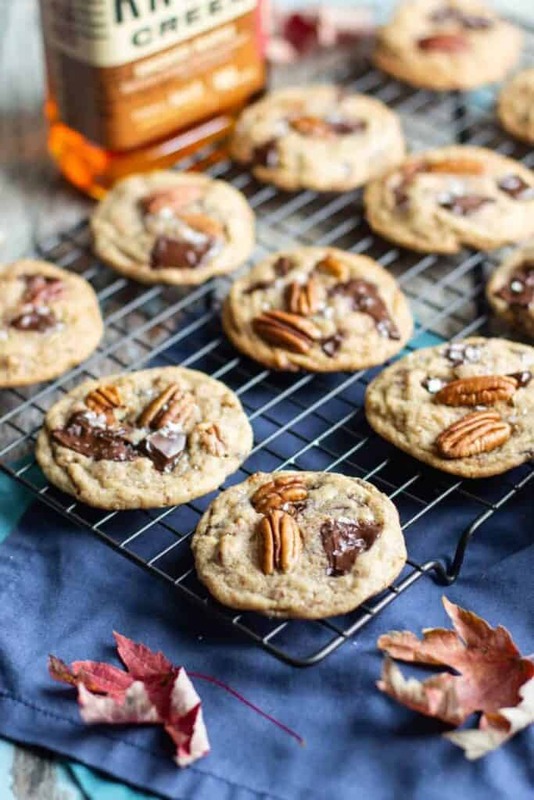 There’s a little bit of forethought involved, since you need to prep the dough, let it chill, and cut out the donuts. But once you’re past that, it’s pretty simple and everything comes together quickly. First, you heat canola oil in a heavy bottomed pot (Dutch ovens work well here) until your candy thermometer lets you know you’ve reached the desired temperature. Gently add the donuts (avoid splashing the hot oil! ), flipping them a couple of times over the course of 2-3 minutes so that they cook evenly on both sides. 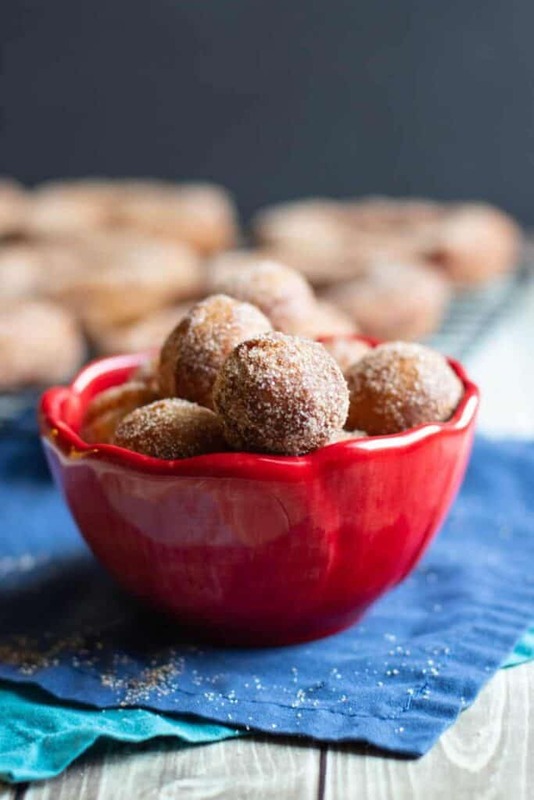 Let the cooked donuts drain a little before tossing them in a big dish of cinnamon and sugar. And there you have it! I’ve shared baked donuts with you before. 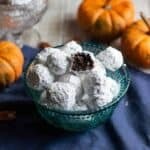 Check out these (aptly named) Easy Chocolate Cake Mix Donuts and Pumpkin Streusel Donuts for a a couple of examples. 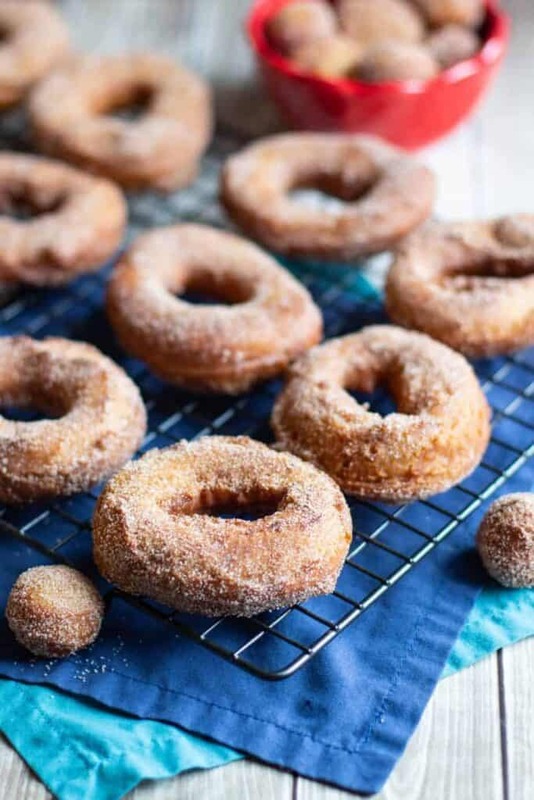 This Apple Cider Donuts recipe is ever so slightly adapted from Table for Two. 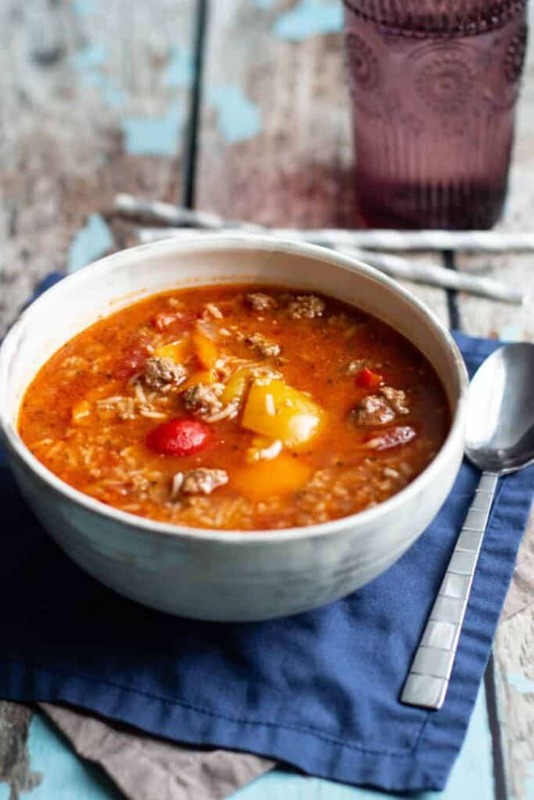 In a small saucepan, bring the apple cider to a boil. Cook over high heat until the cider reduces by half. 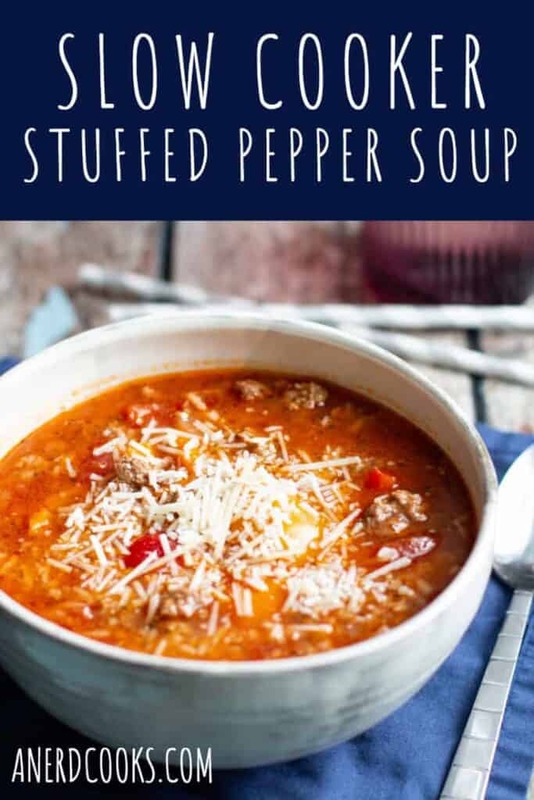 Allow it to cool completely. 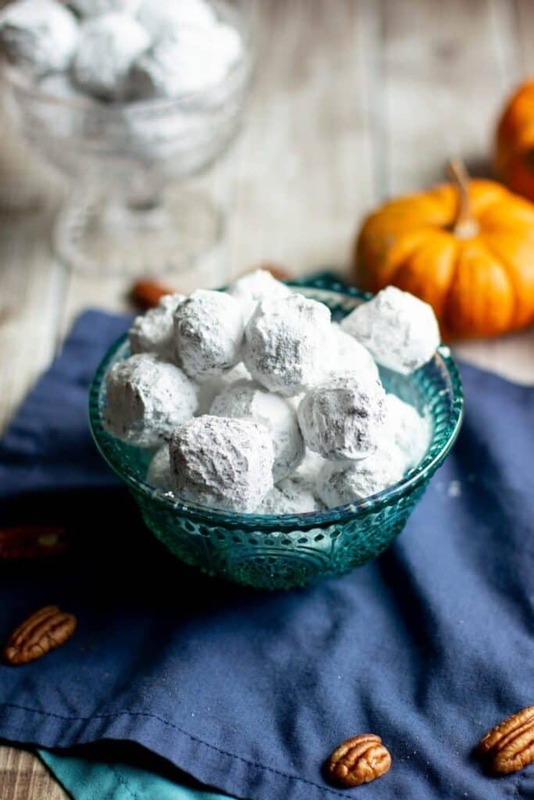 While the cider reduces, whisk the flour, brown sugar, baking powder, kosher salt, baking soda, and spices together in a large bowl. 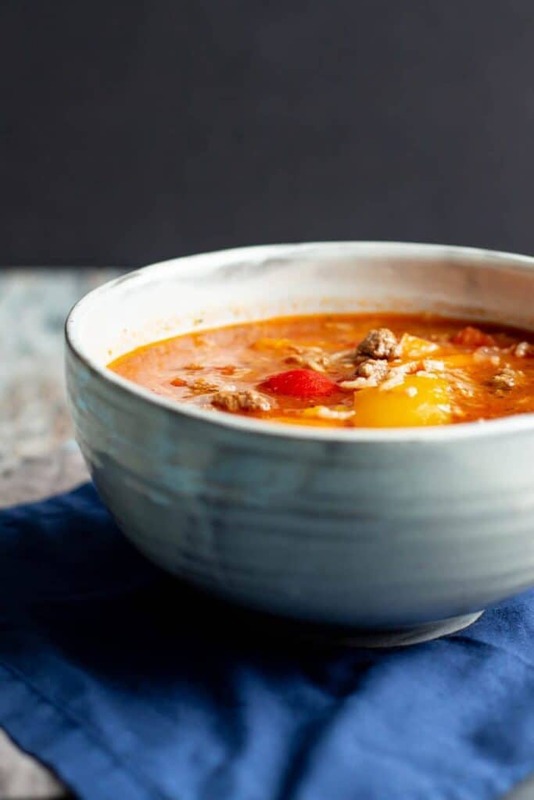 In a medium-sized bowl or a large measuring cup, whisk the eggs, cooled butter, and cooled cider together. Make a well in the dry ingredients then pour the liquid ingredients into the well. 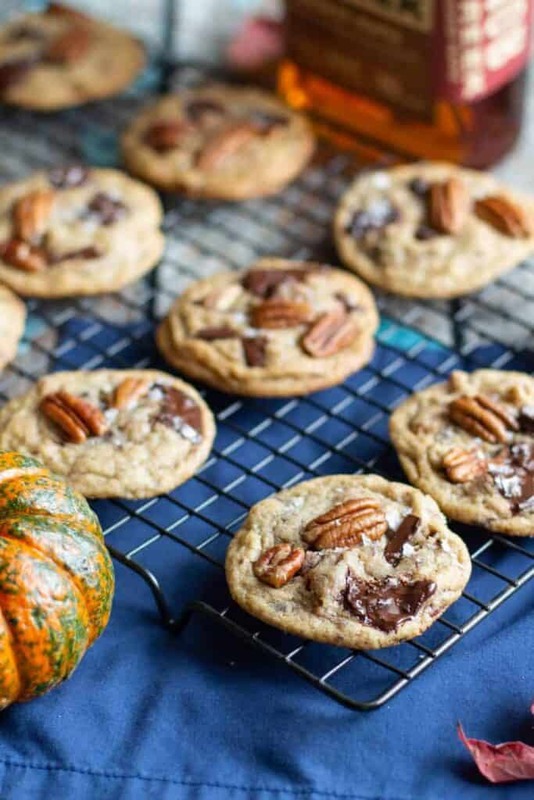 With a spatula, fold the flour into the liquid ingredients. 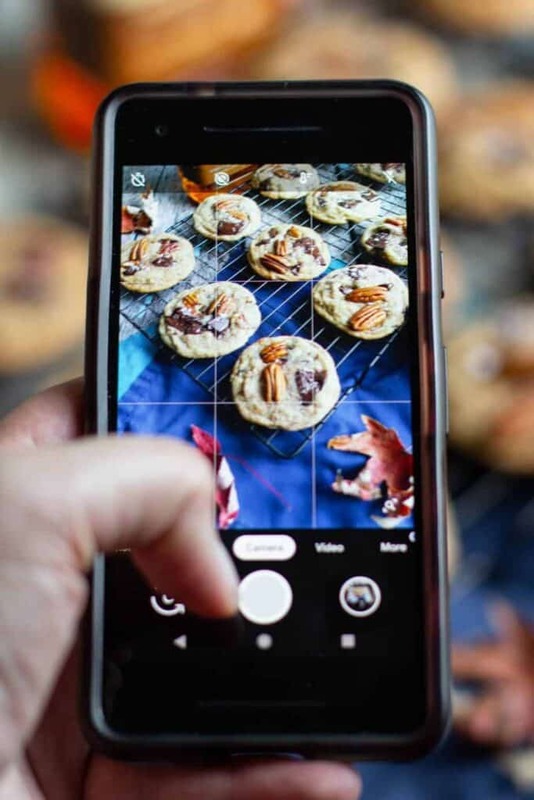 Once a sticky dough comes together, cover the bowl with plastic wrap and place it in the refrigerator for at least 3 hours (overnight would be ideal). 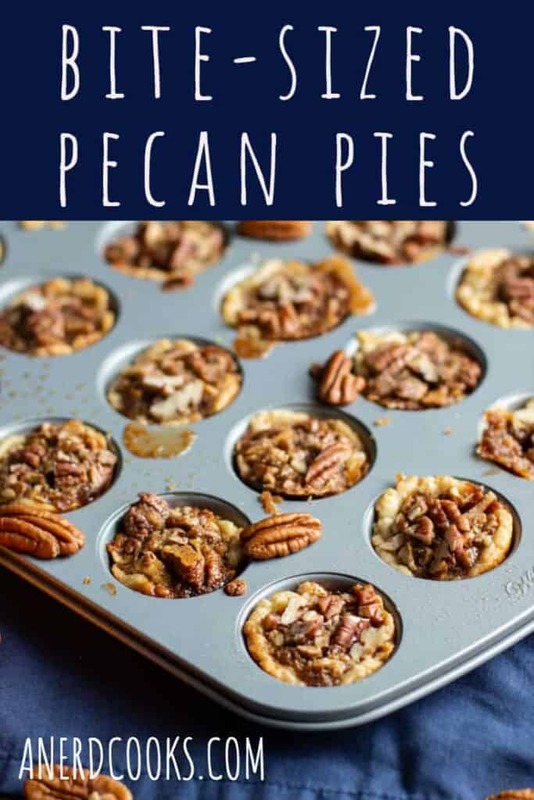 On a plate or in a shallow container (I used a pie dish), thoroughly combine the sugar and cinnamon. Set aside. Once ready, divide dough in half then on a well-floured surface, roll out the dough into 1/2-inch thickness and use a donut cutter to cut the dough (see notes). Heat the canola oil in a heavy-bottom pot (I use a Dutch oven) to 375 degrees F.
Fry the donuts, 2-3 at a time, until they are golden brown (about 2-3 minutes on each side). 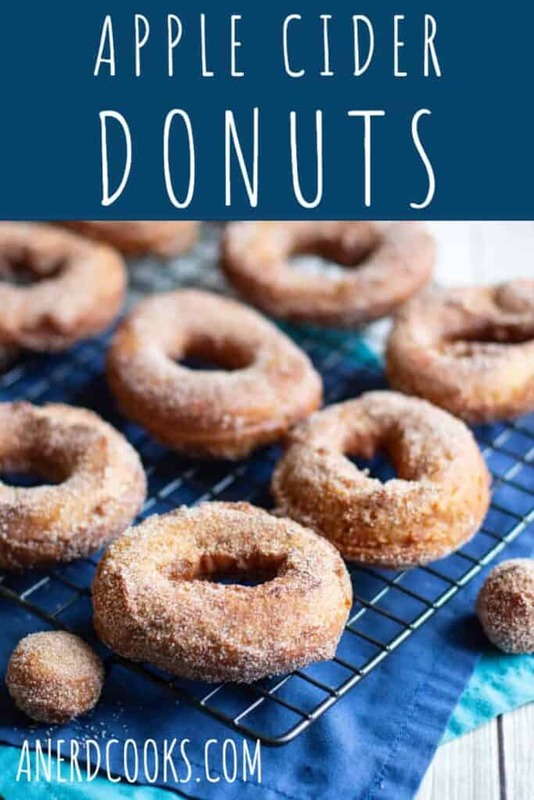 Place the fried donuts onto a paper towel to drain for a minute. 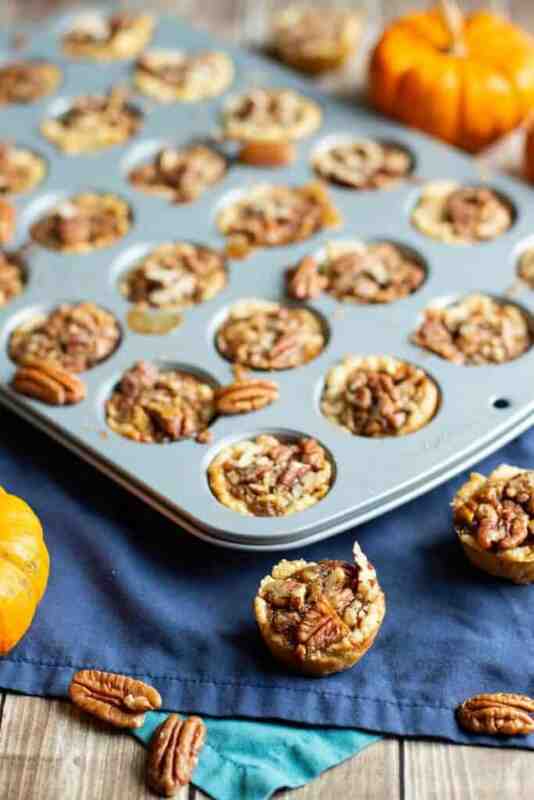 Then immediately toss them in the cinnamon sugar mixture. I don't have a donut cutter, so I used two round cookie cutters of different sizes to cut the outline of the donut and then to cut the donut hole.